Serval are perhaps the best hunters in the cat world, with their agility and speed they are almost always successful in a hunt. 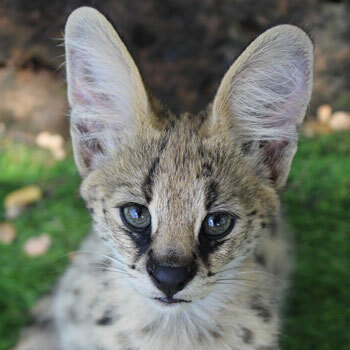 The serval has the longest legs and largest ears for its body size of any cat. 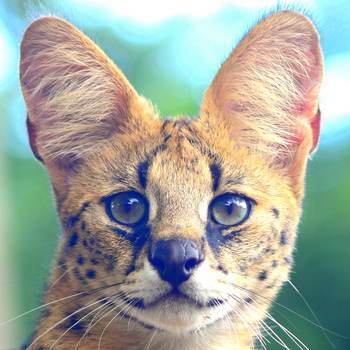 Serval use their large ears to locate their prey, they seldom hunt on extremely windy days as this disrupts the sound of their prey russtling in the grass. A serval mother will give birth a month before the peak in the local rodent populations, so that her kittens have the best chance of survival. 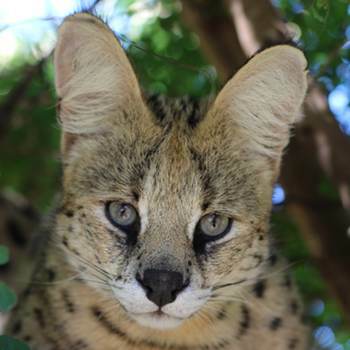 The male serval is not present in the raising of the kittens. In Ancient Egypt the serval was worshipped for its power and grace. 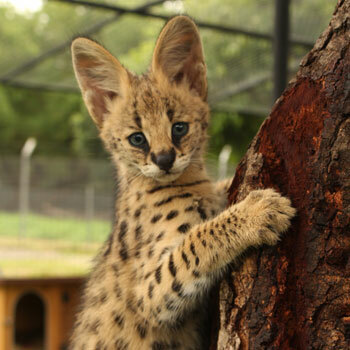 A rare genetic mutation sometimes occurs and a serval can be born with black coats, the most common sightings of these black serval has been in mountainous regions of East Africa. 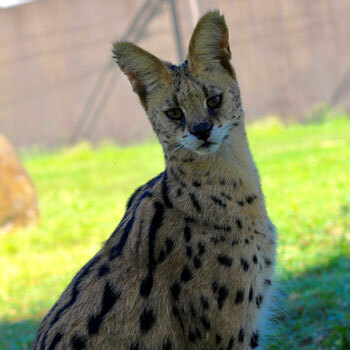 Other nicknames that are associated with the serval are "bush cat" and "giraffe cat". 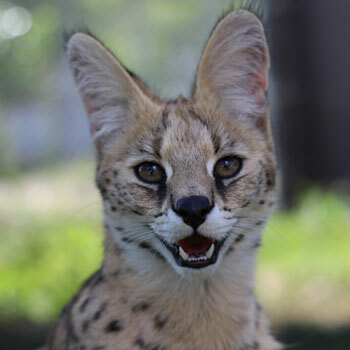 Our serval are available for interaction. 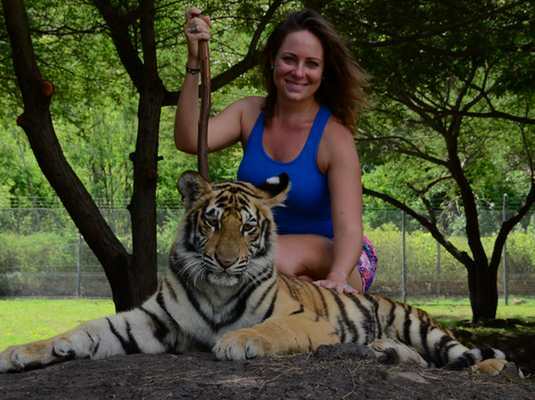 Children aged 10 or 11 years old must be accompanied by an adult and must be at least 1m20. Interactions are held everyday between 09:00 am - 12:00 pm and 13:30 pm - 16:15 pm except on Sundays.